What is a helicopter flight like? As experiences go, helicopter flights are the new black. What could be better than going for a spin in one of the coolest crafts around? Kick back in style as you're whisked onto cloud nine, soaring over patchwork fields, picking out famous landmarks and nosing into back gardens. With your headphones on, you can hear the pilot's commentary and listen in on radio transmissions too. This experience has got it all – thrills, amazing views, cool choppers and real pilots saying stuff like "over and out". By the end you’ll feel a bit like Jason Bourne. Or maybe Murdock from the A-Team. Anyway, what’s not to love? This is the experience to end all experiences, and it's high time you ticked it off your bucket list. ROGER THAT! Surreal is probably the best word. If you have jetted off to Benidorm or Magaluf before then you'll be used to the sensation of flying. However, there's one big difference between helicopters and planes. Hint: one takes off vertically and the other needs a massively long runway. This vertical ascent is probably the weirdest bit of the experience, as the helicopter gains altitude quickly. You'll be up at 1,000 feet in no time at all. Helicopters can bounce a little bit in the wind but the pilots are pros and they can handle anything Mother Nature throws their way. They can also gently vibrate or shudder but the big spinny thing on the top of the helicopter explains this. Once you're up there in the sky, it's a similar experience to flying in a small plane. Helicopters fly at relatively low altitude so the views are often phenomenal. Looking through the mass of glazing on helicopters knocks the spots off looking through a pokey window on an aircraft. Taster helicopter flights are very short jaunts lasting five or ten minutes. These are designed for nervous Nellies and first time fliers. Standard helicopter tours last from 20 to 30 minutes and are the most popular way of taking to the skies in a whirlybird. Deluxe helicopter tours generally last an hour. For a bit more cash, you can normally have the helicopter all to yourself, which is ideal for family get-togethers to celebrate a special birthday or anniversary. 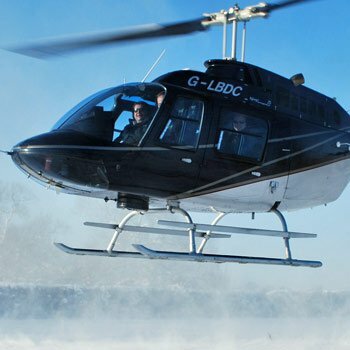 WHEN: Helicopter flights are generally available all year round, although dates at some locations only become available for the summer months when the weather is best. Be aware that flights are weather dependant so your flight may be delayed or rescheduled if Mother Nature doesn't play ball. WHERE: Naturally, you need a helipad or airfield to operate helicopter flights. These are dotted around the country so there should be a departure point near you. WHO: The beauty of a helicopter flight is its universal appeal. From young to old, heading skywards bound makes a great gift. If they like flying or sightseeing, this is the experience for them. OCCASIONS: Helicopter flights, especially the shorter ones, are affordable birthday present ideas. They also make great gifts for Christmas, anniversaries, Mother's Day, or Father's Day. On arrival you'll meet your pilot who'll sit you down for a quick briefing on the experience. It's called a 'brief' for a reason – one of them being it's, well, brief – so stay focused and listen up. This is your chance to learn the nitty gritty of vertical flight and to get some questions in. For instance, how fast will you go? Can the helicopter hover? Which landmarks should you look out for? These questions might quickly fall out of your head once you're hundreds of feet up, so now's the time to ask. During the briefing you'll also learn about safety procedures. Once you're buckled into the chopper, headphones on snug, and camera at the ready, you'll be whisked up and away for your flight of fancy. 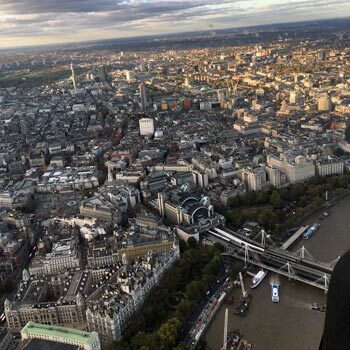 The pilots are a friendly bunch who are happy to point out local landmarks and commentate on the flight, so listen up and keep a beady eye out for famous monuments. Afterwards, you'll be dropped back at the airfield. If you think you know the south coast, or the Welsh hills, or Cornwall's rocky end, think again. 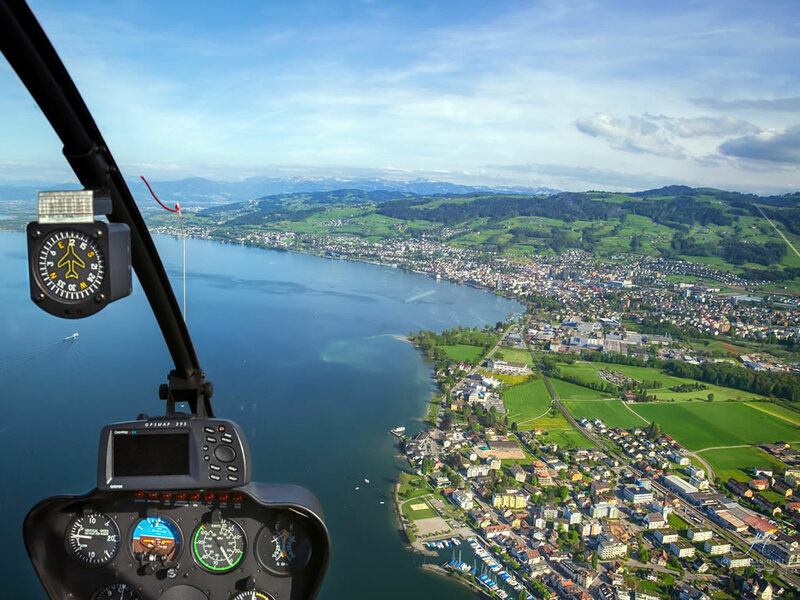 In this helicopter flight experience you’ll get to see some of Britain's greatest sights with a bird's eye view, complete with photo opportunities galore and even a commentary from the pilot. I've done the leg work for you and sifted through hundreds of helicopter experiences to find my favourites. I've purposely left out a helicopter flight over London as I have reviewed this and believe it is worthy of a write-up all to itself. If you are heading to Central London, check out my review. Otherwise, please read on. 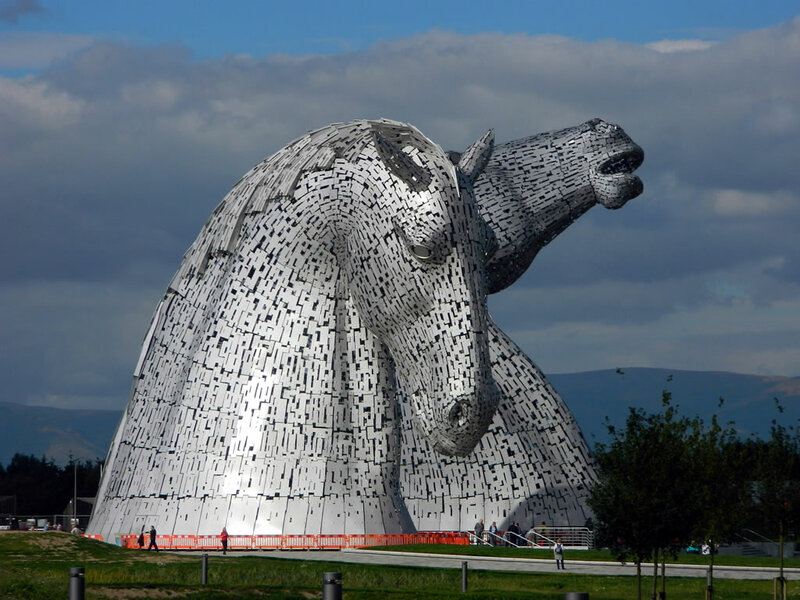 30-metre-tall horse-head sculptures known as The Kelpies were designed by Andy Scott as a monument to horse powered heritage in Scotland. Scotland boasts pockets or urban areas nestled amongst some of the best rural areas this country has to offer. Hop on a helicopter flight from Perth, Edinburgh, North Berwick, Stirling, or Renfrew for stunning views. 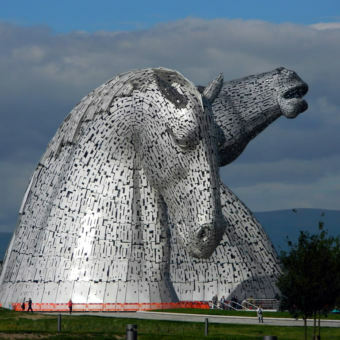 Take off from Stirling to see The Kelpies (amazing 300-tonne horse's head sculptures) and the Falkirk Wheel from above. Or head to Renfrew for a Glasgow city helicopter tour taking in the River Clyde, the former shipyards, BBC Media Centre, Glasgow Science Centre, and the SECC arena. Set on the tip of Cornwall, St Ives offers some fantastic views of the Cornish coastline. Flights usually take place in the Summer months only when the weather is normally at its very best, showcasing this beautiful part of the country perfectly. St Ives is on the A30, a main artery running right through Cornwall and Devon right up to Exeter where it meets the M5. This is an ideal location for holiday makers and those living in the south west in surrounding towns and cities such as Plymouth, Barnstaple, Bristol, Bideford, St Austell and Newquay. On this flight you'll soar over the Cornish coastline between St Ives and Lands End. Keep a lookout for landmarks including Pendeen Lighthouse, Lands End and the Minack Theatre. A short hop from Birmingham in the West Midlands is where you can take part in this budget taster flight. This flight covers eight miles over five minutes so is ideal for those that have never tried a helicopter flight before. It is also pocket-friendly making this an ideal Christmas or birthday present. Expect to see landscapes near to the helipad in Wolverhampton but little else. Other experiences are available from this same location that take in aerial views of Bridgnorth, the River Severn, Thomas Telford's distinctive Iron Bridge, the Severn Valley railway, and 17th century country house, Dudmaston Hall. The flight duration and cost for these experiences is understandably greater than on the taster helicopter flight. North Wales is another gem that boasts enviable countryside vistas. If you are visiting Bettws y Coed, consider taking a helicopter tour across Snowdonia National Park. Grab your camera for aerial photographs of woodland, mountains, waterfalls, and landmarks such as the 13th century castle at Dolwyddelan. The flight path takes in Blaenau Ffestiniog and the quanit Italian-style village, Portmerion. You'll see Beddgelert and Castle Dinas Emry before returning back to the heliport. No tour of Snowdonia National Park would be complete without views of Mount Snowdon, Wales' tallest mountain at 1,085 metres so the helicopter will pass this legendary landmark. In May 1943, a swift and daring raid took place on German dams by No. 617 Squadron, who later became known as the 'Dambusters'. The attack, codenamed Operation Chastise, intended to destroy various German power-plants and dams – and it did just that. The Squadron breached two major dams in Germany's Ruhr Valley – the Möhne and Edersee dams, damaged the Sorpe dam, and destroyed a number of power-plants, factories and mines. This commemorative helicopter flight retraces the route that the Squadron took whilst training over the Peak District as they prepared for their mission in Germany. Whether you're a keen historian, war enthusiast, or you're just going along to humour your dad, it's impossible not to get caught up in the drama of this landmark moment in time. 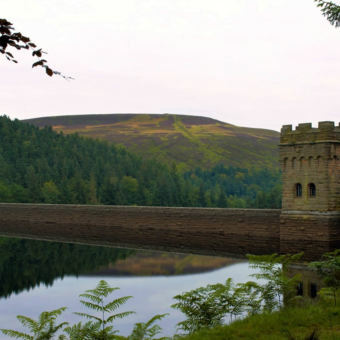 So what can you expect from your Dambusters helicopter flight? Dams for one thing, but definitely no busting. 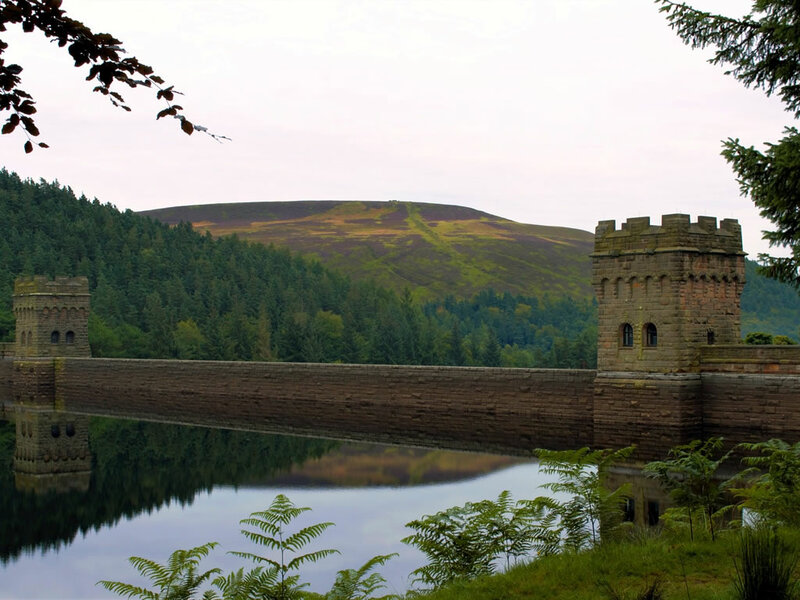 Set off from Sheffield and fly over the fabulous Peak District, see Derwent Valley from above and view the twin dams – all of which provided the training ground for the pilots' raid. You'll have the chance to understand the skill and bravery of wartime pilots as they navigated specific routes and made best use of 1940s technology to pinpoint specific targets. It’s incredible to think that, strapped into their enormous Lancasters, they managed to navigate the route from a mere 60 feet above the ground. How much four a family of six (two adults and four children) to have a Anglesey helicopter tour on 16th December please? You’ll find a list of helicopter flights here. Some will cover Anglesey but only on selected dates. Experiences are usually sold per person or per couple, so you’d need multiple vouchers to cover the family. It’s also worth noting that most helicopters used for these experiences can fit up to five passengers, so you’d likely need to spread your family across two flights. Operators usually have minimum ages too (normally around six to eight years old). Do you have flights that are accessible to people using a wheel chair? That’s a great question. The best way to get a definitive answer would be to pick your most preferred option from the list above and to contact the retailer that sells it. They would be best placed to find out what is available. You’d need to have a specific experience day in mind as they would need to contact one of a number of helicopter service providers to find out the answer.